Screw ’em. Let’s talk about soul places. To me, St Ives is one of those places. The first time I took a St Ives day trip, I meandered with friends through the low-tide harbor. I ate gluten free crepes, clambered on rocks, wrapped up in a warm blanket under a heat lamp at the Porthminster Beach Cafe with a bottle of wine and the sound of night-time waves just a few meters away. 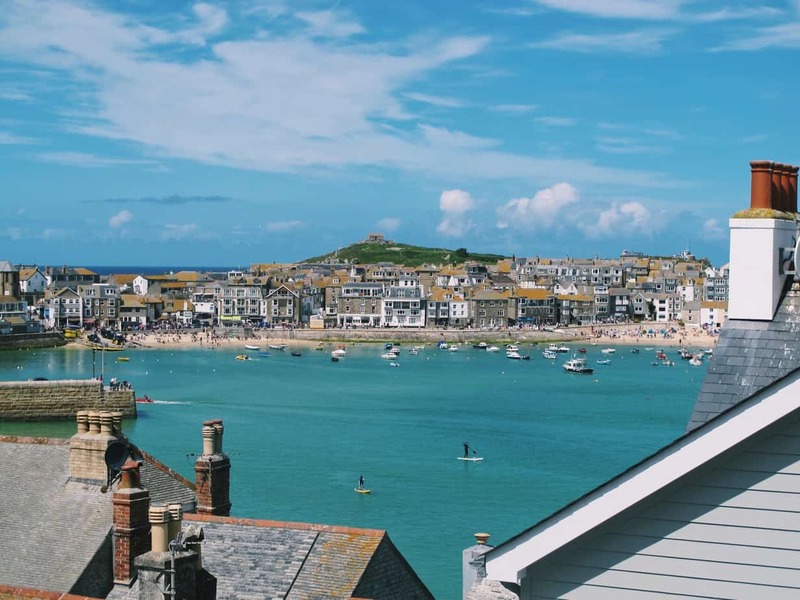 I’ve been back to St Ives a few times since then, each time my jaw dropping at the perfect afternoon light, the crescent curve of the harbor, the shingled roofs. When I saw Jaime’s post about St Ives a couple weeks ago, it hit me: I now live only two hours from St Ives, yet I hadn’t been on a St Ives day trip for two years. Two years!! Seeing Jaime’s post reminded me: I don’t have to get on an airplane to travel. Also, announcement, but I won’t be in Plymouth for all that much longer. I need to take advantage of the incredible ability to go on a St Ives day trip while I can! (And a St Ives day trip for the same price as my library cappuccino, I might add). So, last weekend my housemate and I hopped on the train (with our laptops in stow… it turns out I am very productive on trains!) and commenced our St Ives day trip. I’m hoping to fit in another few St Ives day trips over the summer, plus a long weekend in September when my family visits! How to get to St Ives: The best way is by train, you will transfer at St Erth for the beautiful 15 minutes seaside/saltmarsh journey. Make sure to sit on the right hand side leaving St Erth for the best views! The St Ives station is very close to the harbor, but it is up a big hill (great views! Not great for wheelchairs/mobility!). Mid-range to Luxury: Jaime loved her stay at Trevose Harbor House B&B, and Pedn Olva is the most gorgeous and luxurious place I have ever stayed, ever. 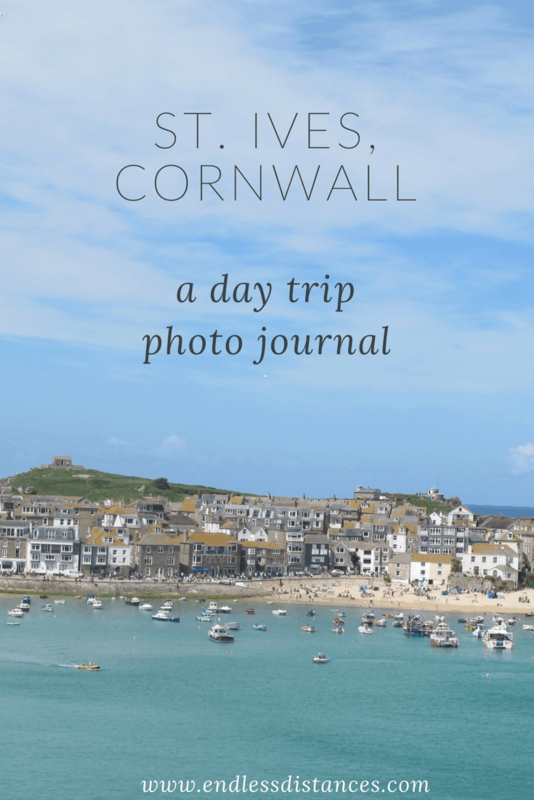 I hope my photos convinced you to take a St Ives day trip! Have you ever been? Do you have a soul place? 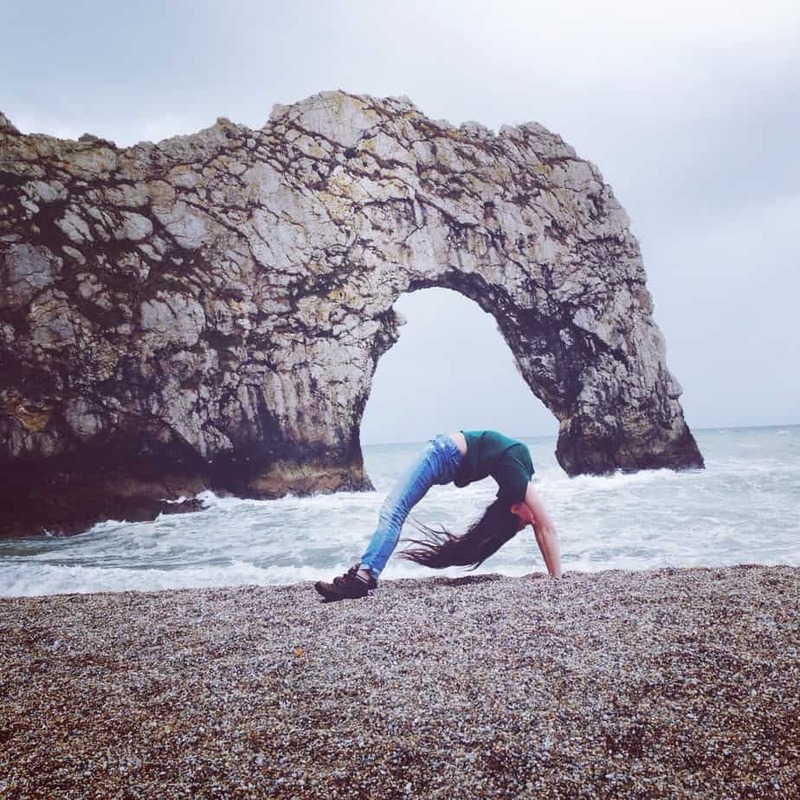 I will be linking up with Lauren of Lauren on Location, Van of Snow in Tromso, Isabel of The Sunny Side of This, and Marcella of What a Wonderful World for Wanderlust Wednesday, and also City Tripping with Mummy Travels and Wander Mum. Some of the links in this post may be affiliate links. In non-blogger lingo this means that if you click one of these links and make a purchase, I will receive a small commission. 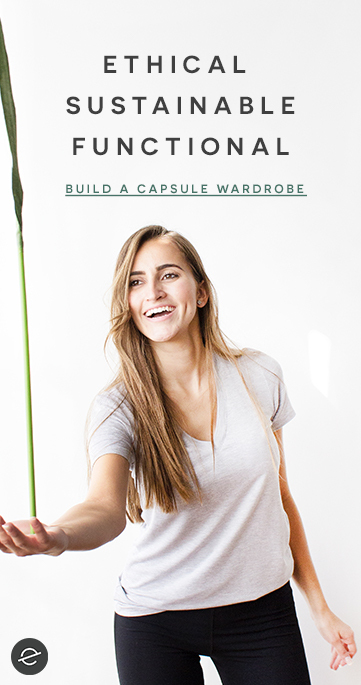 This comes at no extra cost to you, and helps me maintain the running costs of Endless Distances. Thank you for supporting the brands that support Endless Distances!